Grooming for Success "The conciousness of being well-groomed and well-dressed, will itself, heighten your self-confidence and self-respect." Datuk Nicol Ann David PETALING JAYA: Among all the famous personalities in the country, the one Malaysians trust the most is Datuk Nicol Ann David, the world’s top-ranked women’s squash player. 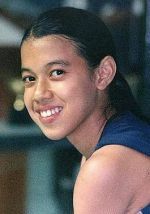 Nicol topped the list in the inaugural Malaysians’ Most Trusted People and Professions survey, having won the hearts of Malaysians with her spirit of competition and drive for success. Some 760 respondents between 20 and 59 years of age took part in the online survey conducted by Reader’s Digest Asia. Others in the top 10 (in descending order) are Mercy Malaysia founder Tan Sri Dr Jemilah Mahmood, badminton star Datuk Lee Chong Wei, Datuk Mohd Nor Khalid (cartoonist Lat), shoe designer Datuk Jimmy Choo, actress and singer Adibah Noor, actress Datuk Michelle Yeoh, veteran actor Tan Sri Jins Shamsuddin, actor and comedian Afdlin Shauki and Chef Wan. According to Reader’s Digest Asia managing editor Siti Rohani, the survey on trusted personalities was a natural extension of its Trusted Brands survey, which had been running for the past eight years. Fifty personalities were picked based on popularity and visibility, and respondents were asked to rank them. “We wanted to have a good mix of people – after all we are looking at 50 in a nation of millions. There was no science behind it, and we wanted to keep it fun and light-hearted,” said Siti Rohani. She added that was why there were no politicians on the list. “Once you introduce politics into such a survey, it takes it to a different level and makes it more serious,” she said. She also noted that predominantly, the most trusted people are those who had achieved international recognition. “There are many in the top 10 who have managed to put Malaysia on the map. For example, Nicol David, Lee Chong Wei, Jimmy Choo and Michelle Yeoh have made it really big in their respective fields and succeeded on an international platform. “They are our national heroes, so to speak,” said Siti Rohani. She qualified the findings of the survey by saying that it only showed the level of perceived trust, as respondents did not know the personalities on a personal level. Additionally, the survey found that the top five trusted professions (in descending ranking) were pilots, teachers, doctors, paramedics and firefighters. “These are the people we turn to when hurt, injured or need help, so we need to trust the people in those positions. Teachers prepare us for the future, and they are people we respect and look to for help. It is great they made it into the list,” said Siti Rohani. Dolly Kee, director and principal consultant of Image Power, said developing trust involved image management skills. “We believe those skilful in making impressions have a higher degree of trust and credibility. To earn the trust of someone, you have to make a lot of positive impressions. “A few values which contribute to it are the ability to command respect, professionalism, credibility and (willingness to) walk the talk,” said Kee. The full article and results of the survey will be published in the March 2010 issue of the Malaysian edition of Reader’s Digest, which will be available at newstands from today.